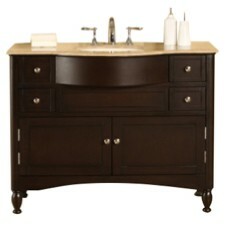 Unique Bathroom Vanities, Cabinets, & Sinks + Free Shipping! It would be difficult to improve on the service we received. The ordering process was very efficient. The company owner called personally to answer a question that I had. The follow up service to replace a valve was very fast. As a contractor, I will purchase from this company again without hesitation - David L.
Looking for something other than what Home Depot or Lowe’s offers? Then you are in the right place! 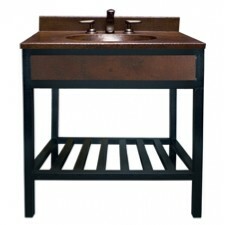 UniqueVanities.com is home to the most diverse, unique collection of vanities on the web. It doesn’t matter what size you need, or what style suits you, you’ll find it all here. 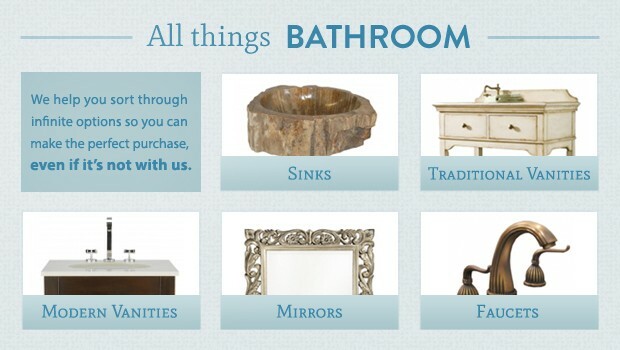 We offer options from brand names such as L and K Designs, Silkroad Exclusive, Empire Industries, James Martin Furniture, Virtu, Design Element & Uttermost Mirrors, just to name a few. We also offer some exclusive lines you will not find anywhere else. Most of our in stock items ship out within 3 business days, and can be delivered to your front door within 7-10 business days from the date you place your order. 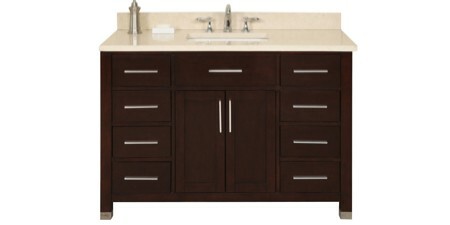 Whether you are in California, Florida or New York, we have access to carriers that will get your new bathroom vanity cabinet to you on time! Want some extra help at delivery? 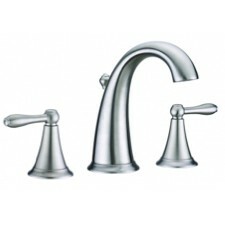 Choose our white glove delivery upgrade, free for all double sink purchases, and only $99 for single sinks. 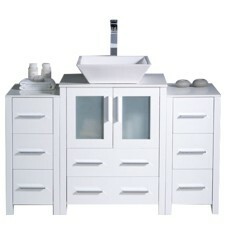 If you don’t need your vanity in a rush, white glove delivery is the way to go! We’ll deliver it to the room of choice, including upstairs, and we’ll remove all the packaging and debris and take it with us! Concerned about buying furniture online? We understand. That’s why our client service specialists are trained experts. We have access to Contractors and Designers to help with your buying decision. Have a question that even WE don’t have the answer to? Don’t worry; we’ll make it our priority to find the answer for you! 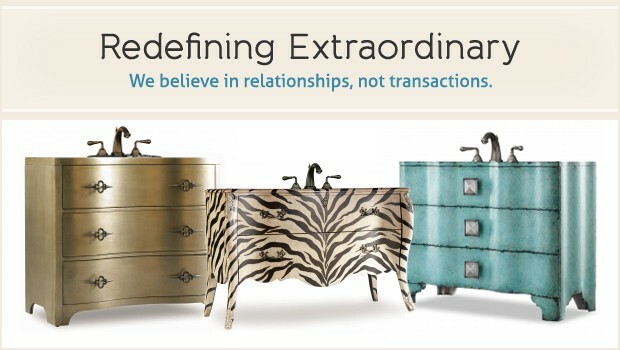 Many of our clients have never purchased furniture on the internet. We want to ensure your comfort and confidence in your buying decision. Are you just starting to think about remodeling your bathroom, and need some ideas? Our clients favorite place to find unique bathroom ideas is Houzz - Click Here for Unique Bathroom Remodeling Ideas! 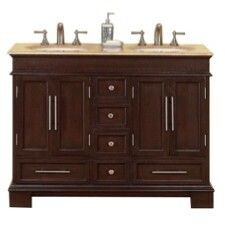 Another great resource when you are in the bathroom renovation planning stage is HGTV. Read on for more reasons why shopping with us is stress free! We are A+ rated from the Better Business Bureau! 5 Star Rated from Google Reviews! YOU are our #1 priority. Our client experience was used as a case study for an upcoming textbook at the University of Cincinnati by a Professor, and client of ours! He was so impressed by his experience, he used us as an example in his teachings. We have Contractors, Designers, and Electricians on staff to help you make an informed decision! Super secure checkout — your personal information is safe with us! Look for the green bar! 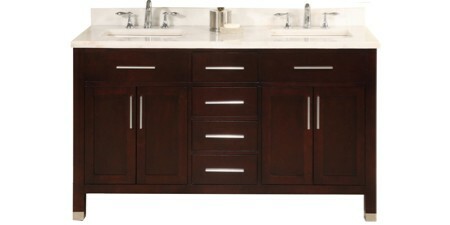 White Glove Delivery Option — we are the ONLY retailer to absorb that cost entirely for our clients that purchase a double sink vanity. 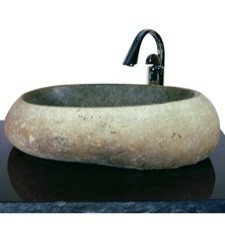 And we only charge $99 if you’d like to upgrade delivery on your single sink! Bottom line? We pride ourselves on offering a level of service that has long since past. We don’t view customer service as an expense, but rather an investment. We’re proud of our business, and we know you will be too. Oh, and our clients love us! How do we know? They tell us often! Check out our testimonials! 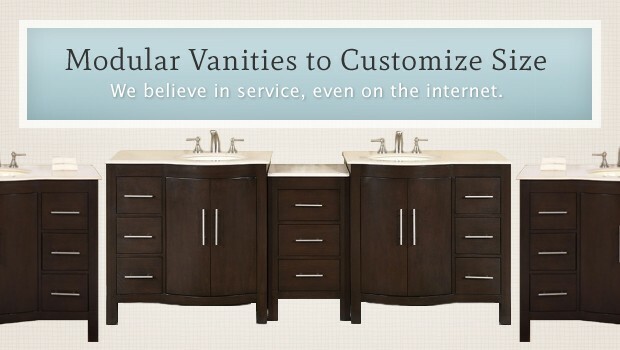 Founded in 2005, Unique Vanities is the leader in a unique online buying experience! In the Dallas Fort Worth Area? 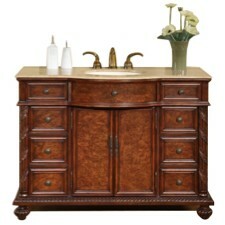 We have a showroom of discount bathroom vanities for pick up only. 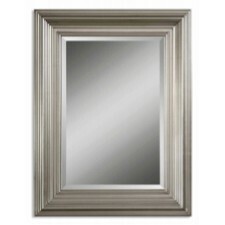 Check out our clearance page. We rotate new items every few weeks, so check back often. Want some personal one on one help? Call us. We have contractors and designers available that can offer guidance based on your space and style.